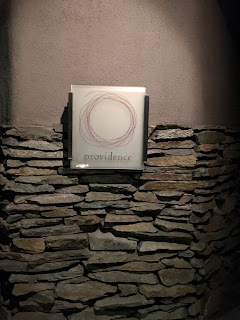 Providence is probably one of the nicest restaurants here in Los Angeles. 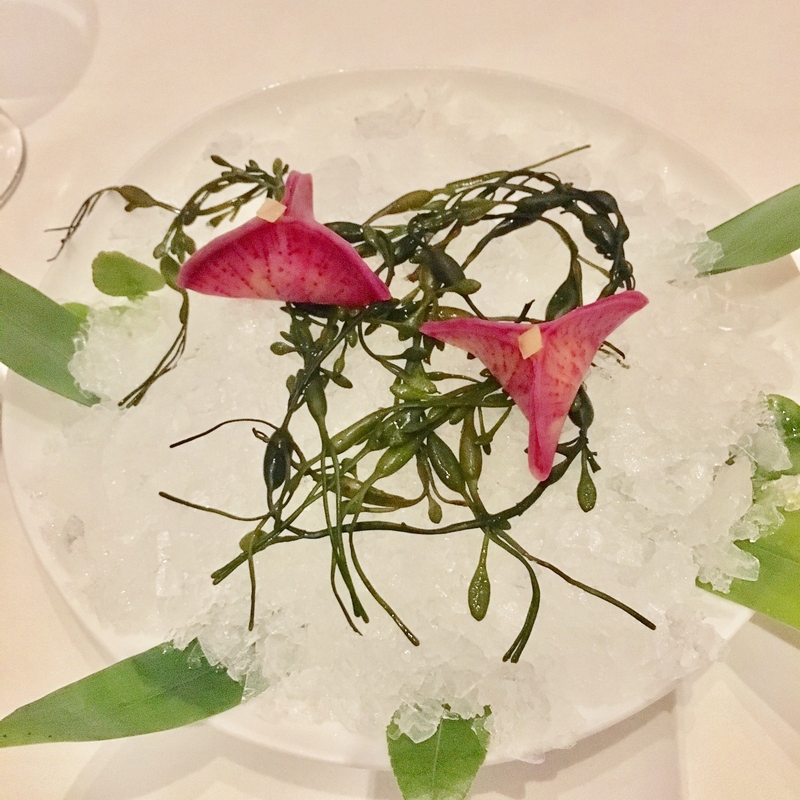 Chef Michael Cimarusti brings seafood with a touch of elegance and a modern flair. The ingredients are fresh and he handles the seafood with respect that it truly deserves. The ambience is modern and gorgeous with classiness that isn't pretentious. 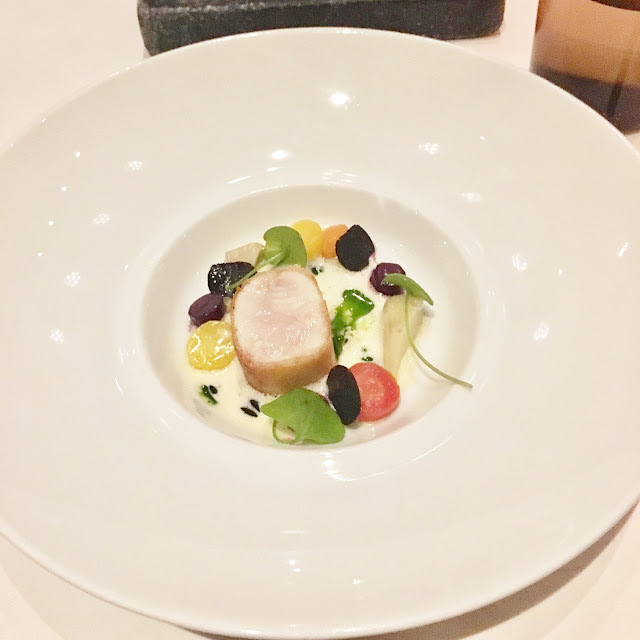 The menu consists of 3 sets, ranging from a seasonal menu and a chef's tasting menu. 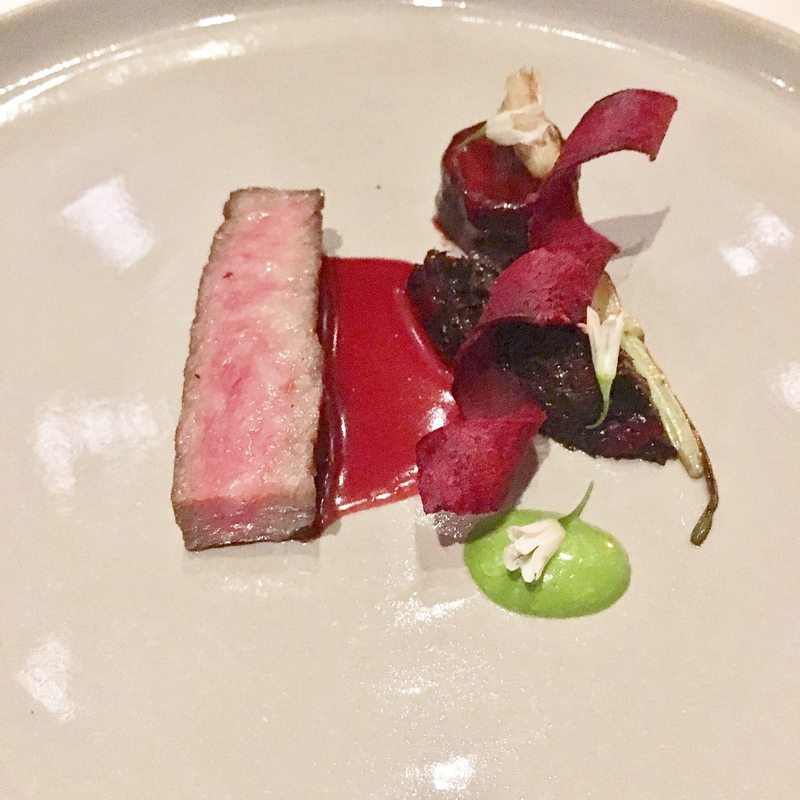 We ended up choosing the chef's tasting for $220 to get a taste of all the goodness the chef has to offer. AMUSE BOUCHE: A shot of tequila. Who doesn't like to start off the meal with some alcohol? 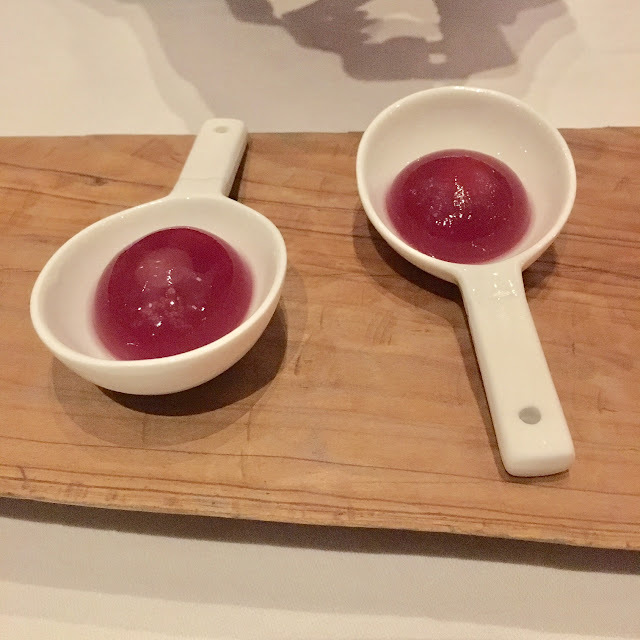 AMUSE BEETS: It was a ravioli but made out of beets. It was refreshing and light. 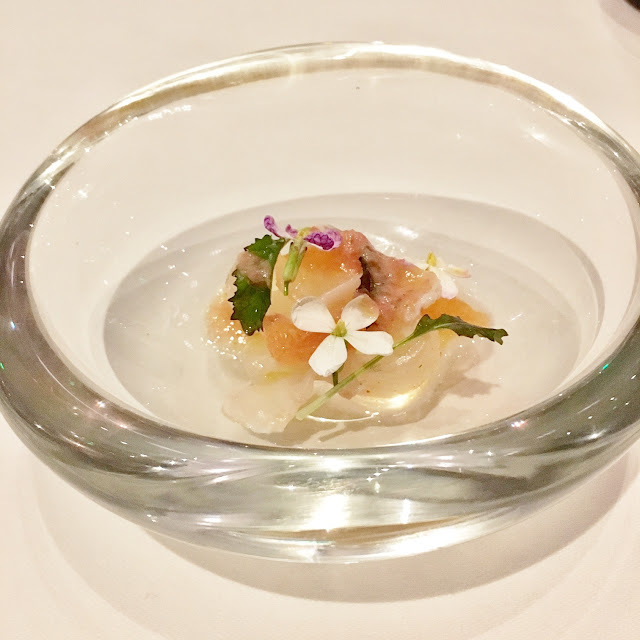 COURSE ONE: FLUKE SASHIMI: Cherry Leaves and Blossoms, Geoduck. Suprisingly, this was really good. It was tender and melt in your mouth. It had a nice balance of flavors. 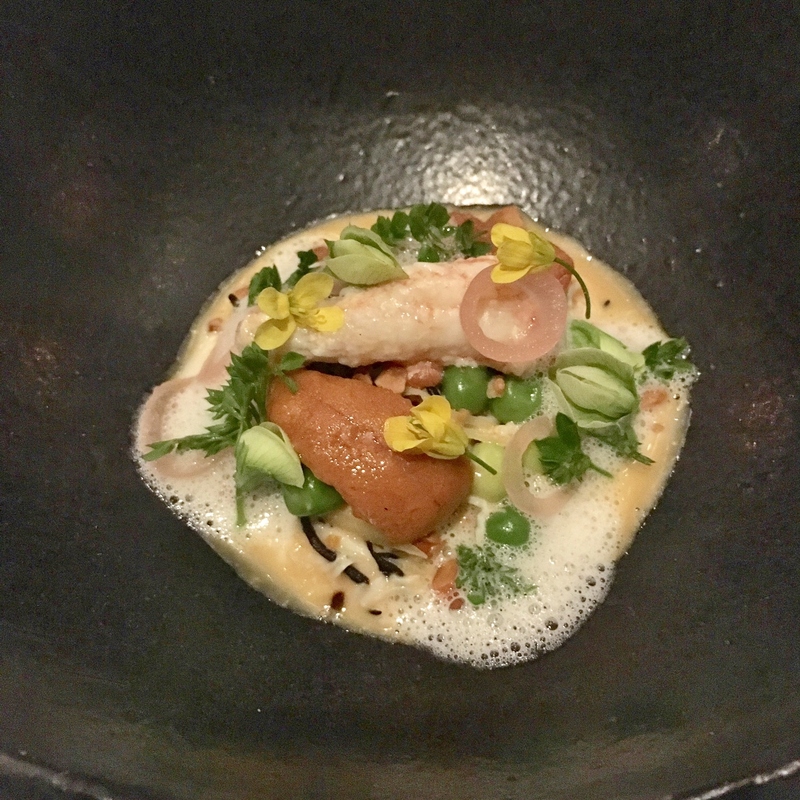 COURSE TWO: LOCAL BOX CRAB (DOCK TO DISH): Hokkaido Uni, Petits Pois, Hazelnut. This was actually pretty delicious. I loved the uni and I'm usually very particular about it. I thought it was super fresh. The crab was succulent. It was a good dish. COURSE THREE: ABALONE: Eggplant, Turnip, Nori. The abalone was tender and not at all rubbery. I thought it was cooked perfectly. All the flavors meshed well together. COURSE FOUR: SPINY LOBSTER (DOCK TO DISH): Macadamia Nut, Black Truffle. Wow! Did you see how many truffles there are?! They actually didn't skimp on the truffles which I appreciate. 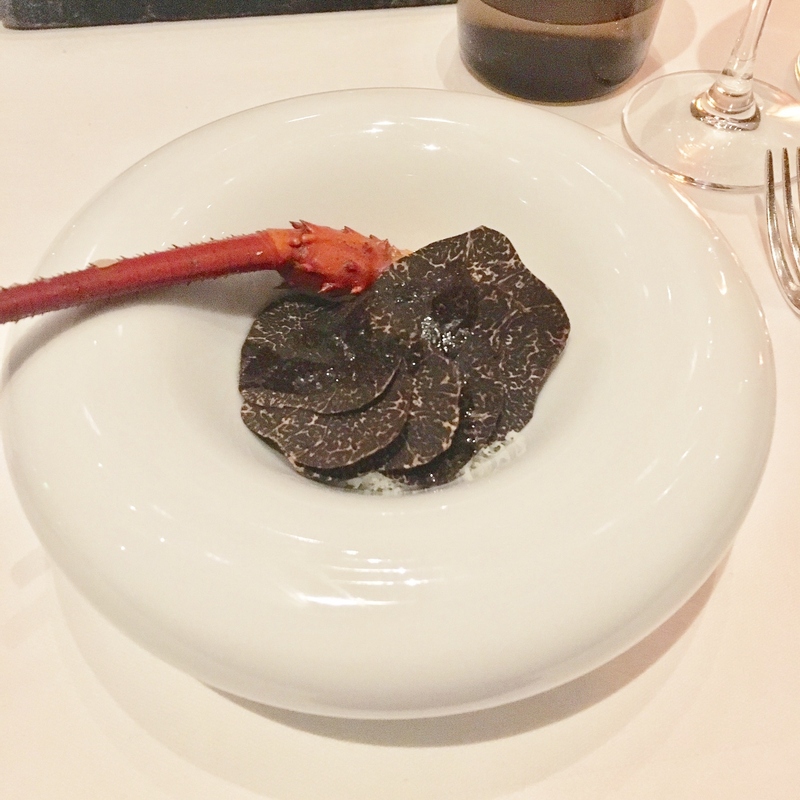 The dish was great and the spiny lobster was easy to eat. One of my favorite dishes of the night. COURSE FIVE: LIVE NEW BEDFORD SEA SCALLOP: Golden Osetra Caviar, Salsify, Crispy Potato. This was one of my favs. I loved the presentation. 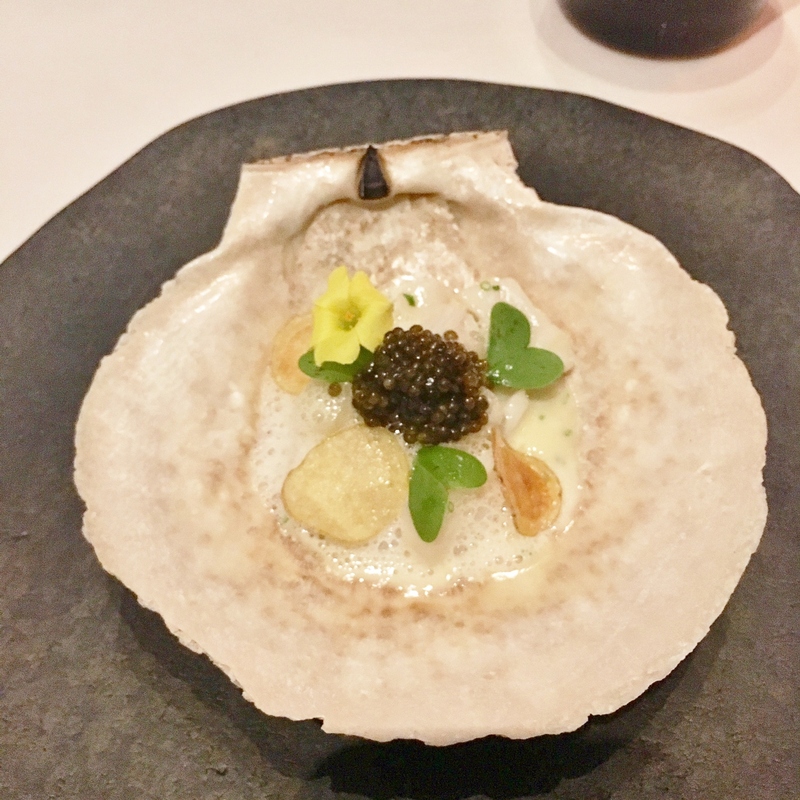 The scallops were fresh and I enjoyed the saltiness of the caviar along with the crispiness of the potatoes. So many textures and flavors all rolled up into one dish. COURSE SIX: STRIPED BASS: Artichoke, Baby Carrot, Black Truffle. This dish was good. The fish wasn't overcooked, which tends to happen everytime I have cooked fish. The carrots and artichoke offered freshness to the dish. COURSE SEVEN: A5 WAGYU: Beet Cured in Kombu, Kale. The wagyu was delicious. It was melt in your good. I thought the beets were a nice addition but quite honestly, I would've enjoyed it just as is, without the other stuff. As good and as expensive this piece of meat is, I want to enjoy how good the ingredient is. COURSE EIGHT: ARTISANAL CHEESES: HOMEMADE TRUFFLE CHEESE. OMG. The cheese on this thing. 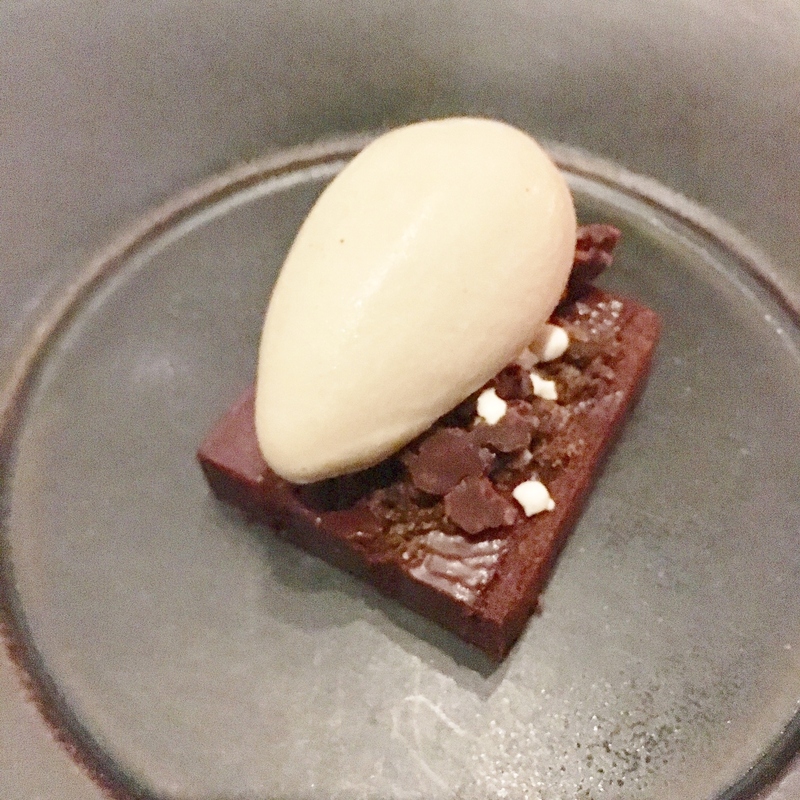 It was creamy and soft and the truffle was prominent with every bite. It was just as delicious as I thought it would be and I loved every bite. 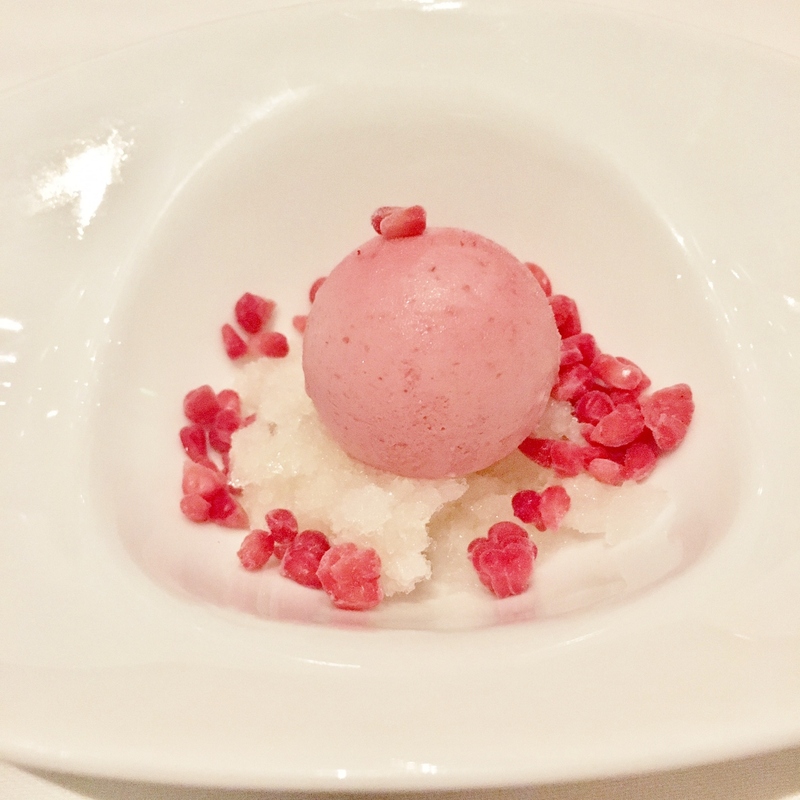 COURSE NINE: RASPBERRY, LYCHEE, ROSE. This was absolutely amazing for a palate cleanser. I thought it wasn't overly sour and the raspberry was super prominent with each bite. I loved it. COURSE TEN: MEYER LEMON, BURRATA. 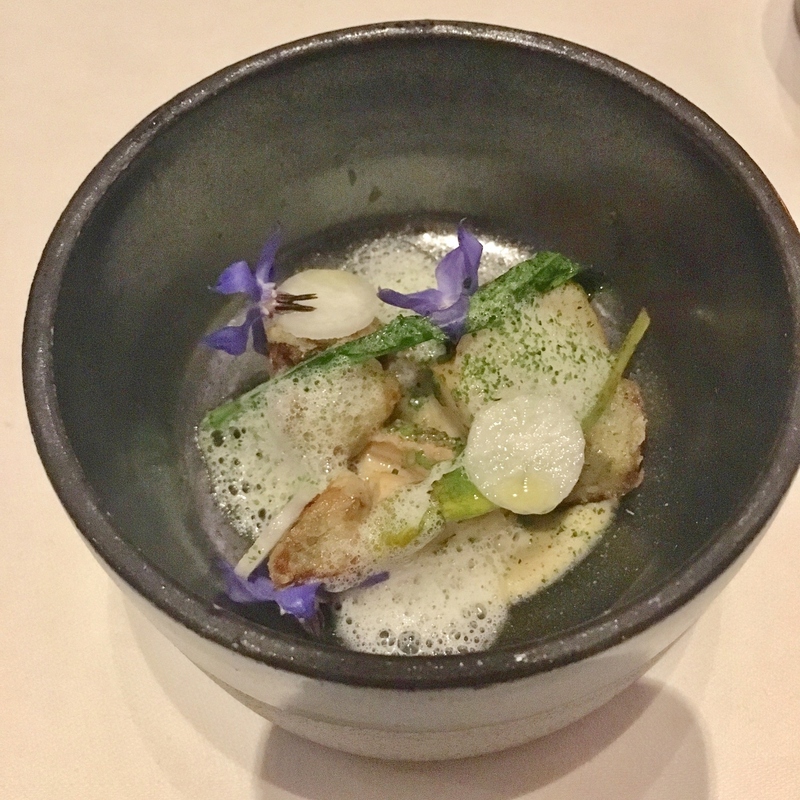 This was also a good palate cleanser but I thought the previous course was better. I didn't really taste the burrata but the lemon was good. 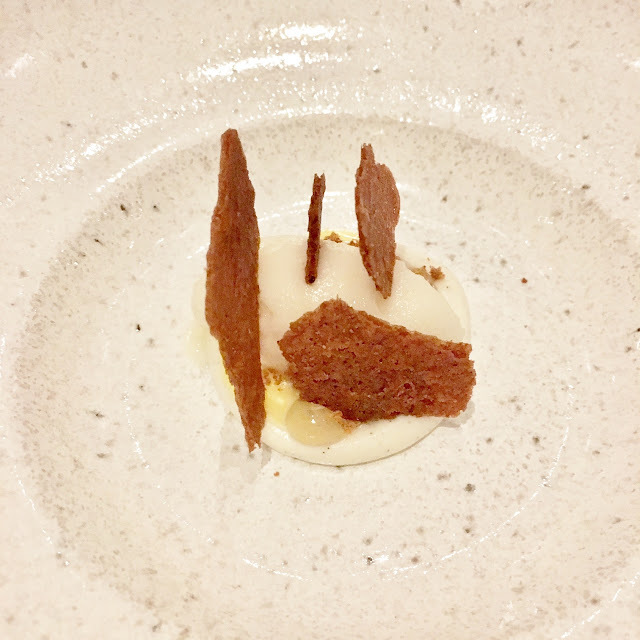 COURSE ELEVEN: ALPACO, COFFEE, BARLEY. This was a decently good dessert. I loved the ice cream and I only wish there was more of it. It tasted really good with my coffee as well. 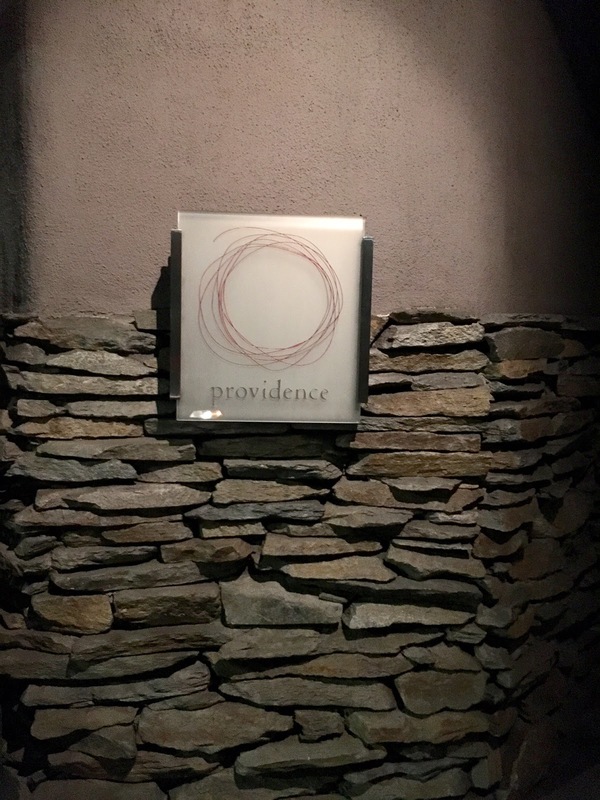 Overall, Providence is an amazing restaurant for a special occasion. The service was always on point and they try to make sure your experience will be a great one. 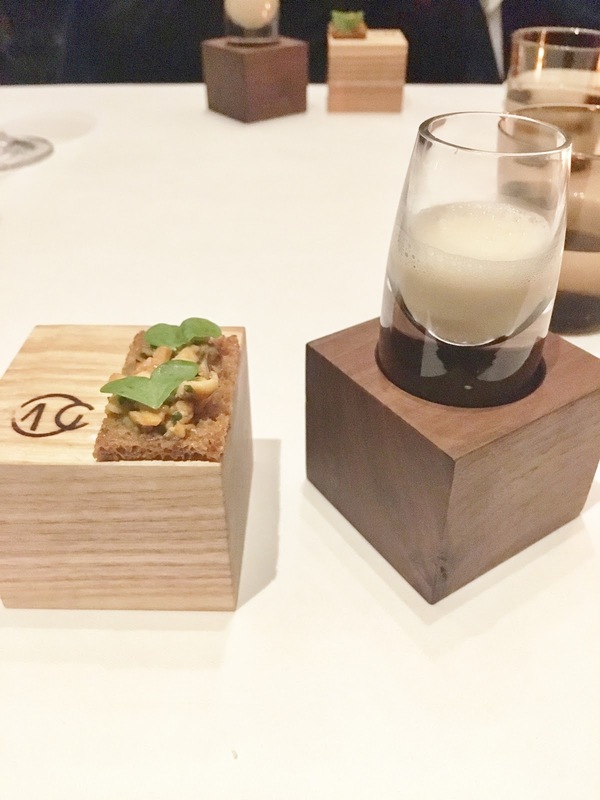 The dinners can be quite long, with the chef's tasting menu being approximately 3 hours. I appreciate the detail they put into the dishes and for the amount of money spent, you would leave feeling full and satisfied. Wow... I am in love with the decorations of this restaurants. They are unique and i have never seen this thing before in any restaurant. I think its the specificity of it.